When we first saw the publicity posters for Snow White by W!ld Rice, it took us awhile to figure out who was the Queen. ArtZine visits the Queen, Prince Charming and Snow White at their royal palace for a chat. 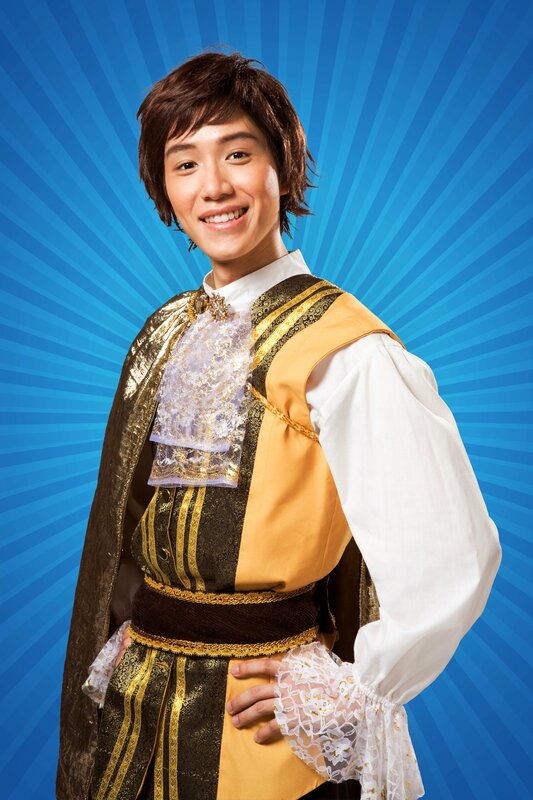 Sebastian Tan was hosting with Hossan Leong on Power 98 when Hossan asked if he would like to play a part in Snow White. “As Snow White?” asked Sebastian. Hossan obviously had other plans for him. Laughing, Sebastian took on the challenge. “She’s a contradictory wo-man”, laughs Seb. “I foresee that the heels will be a challenge for me… the HEELS!” The last time he wore heels was 10 years ago. He found it rather painful to walk in the 7 inch heels. “It was like walking on stilts!” During the fitting for the Queen, he asked for a lower heel. Won’t the heels be covered by the costume though, we wonder? 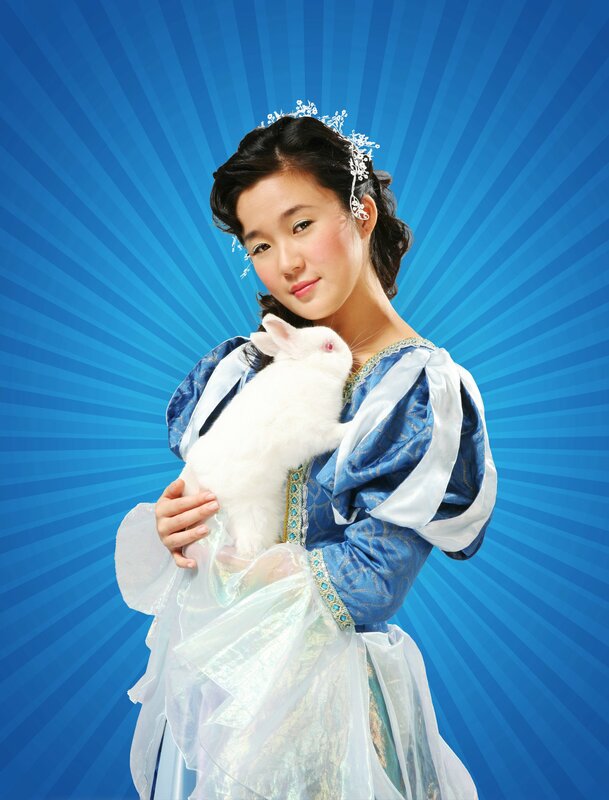 Elena Wang and Dwayne Tan, previously seen in Beauty World, return as Snow White and Prince Charming. What was their reaction when they found out Sebastian was to be the Queen? “I thought it was a fantastic idea!” shares Dwayne. “Good! I never doubted that Seb couldn’t pull it off,” adds Elena. “When we turned up for the photoshoot, he (Sebastian) was already there with a manucurist who was filing his nails!” laughs the two. Besides the nails, Sebastian has to worry about doing his own make-up for the show! The cast will attend a make-up workshop to learn how to do it yourself. “I hope I remember how to put it on,” he laughs. Unfortunately, the Queen is not the only one who feels trapped. Snow White feels like an outcast too. At 18, she flees from the ‘Enhancement’ programme (aka plastic surgery) and lives with the 7 Dwarves in the Outer Limits. Dwayne describes the Prince to be the stereotypical Prince Charming but he too, has his quirkisms. And what about the Dwarves? Dwayne feels that “the dwarves represent people in the society”. True! We take a look at the 7 Dwarves, played by Jacqueline Pereira, Richard Chia, Farhan Hassan, Joanna Pilgrim, Fariz bin Sarib, and Filomar Tariao. Doc is considered the leader of the seven dwarfs, and is presumably the oldest. He often mixes up his words. Grumpy is as his name suggests him to be. He has the biggest nose of the seven and he automatically disapproves of Snow White for the mere fact that she is a woman. However, though initially too proud to show it, deep down he cares perhaps the most for her safety. Happy is the joyous dwarf. He is the fattest of the seven and is always laughing. Sleepy is always tired, as attested by his heavy eyelids, and therefore usually appears laconic even in the direst situations. Bashful is the shyest of the dwarfs, and is therefore often embarrassed by the presence of any attention directed at him. Sneezy‘s name is earned by his extraordinarily powerful sneezes, which are seen blowing objects (including his brothers) across a room. 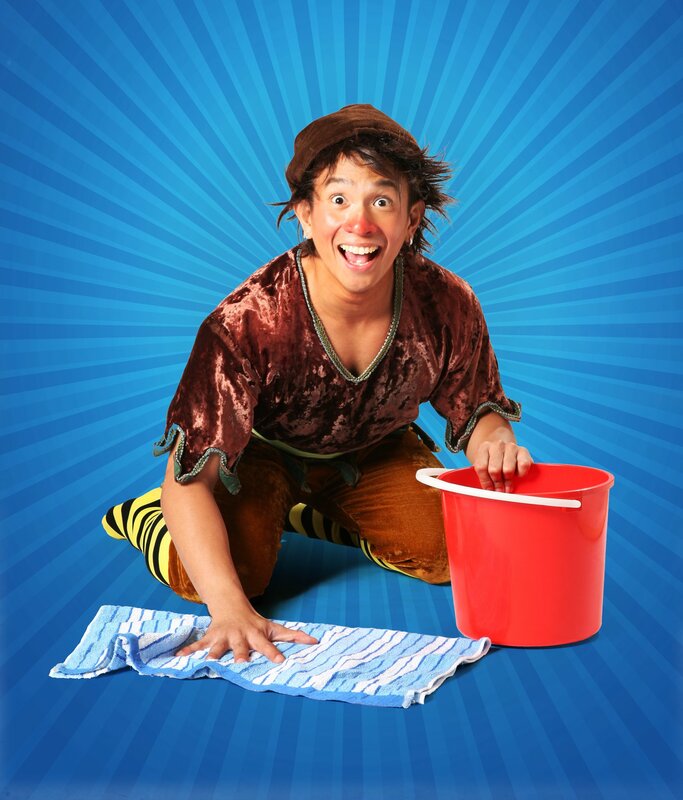 Dopey is the only dwarf to have no beard at all; he is presumably the youngest of the seven. As his name suggests, Dopey is clumsy. He is a mute, or at any rate never speaks and does not know whether he can. For Dwayne, when he gets excited, his voice naturally becomes higher-pitched, so he has to find a balance where he can be excited but still keep his voice as low as the Prince’s should. For Dwayne, affectionately called the ‘Disney freak’ for his love of disney movies, chose Stardust as the fairytale he thought of first. “It is a great fairytale, so magical.” Among the two stars, they discuss about renting the DVD. For Sebastian, it’s “The Little Mermaid” because it was different and he was captivated by it when it first showed. No doubt, Snow White will be the fairytale of the year! Psst! Look out for: A series of catalogue poses from the Queen! Our Review – COMING SOON! This entry was posted in People, Theatre and tagged artzine singapore, artzinesg, dwayne tan, elena wang, hossan leong, sebastian tan, Snow White by Wild Rice, snow white cast interviews by artzine. Bookmark the permalink. can’t wait for opening night! everyone’s having high hopes for this one.